I agree that most novels have a message based in the author's experience and values. It's part of life, and most novels delve into many aspects of life. I agree every book has some kind of message, but I rarely based mine on subjects I was familiar with. I did a lot of research. Nothing makes me drop a book faster than social preaching in any form, about any subject, or from any perspective. However, that's just me. That's why it's so hard to tackle any subject matter. As I said, tricky. But every book has some kind of meessage or theme. 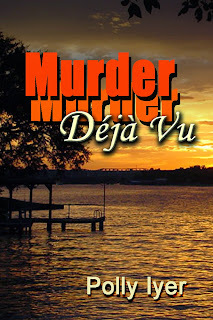 Most crime novels, my favoirte genre, revolves around greed or power or lust. Hopefully, by the end, the author has made a point. 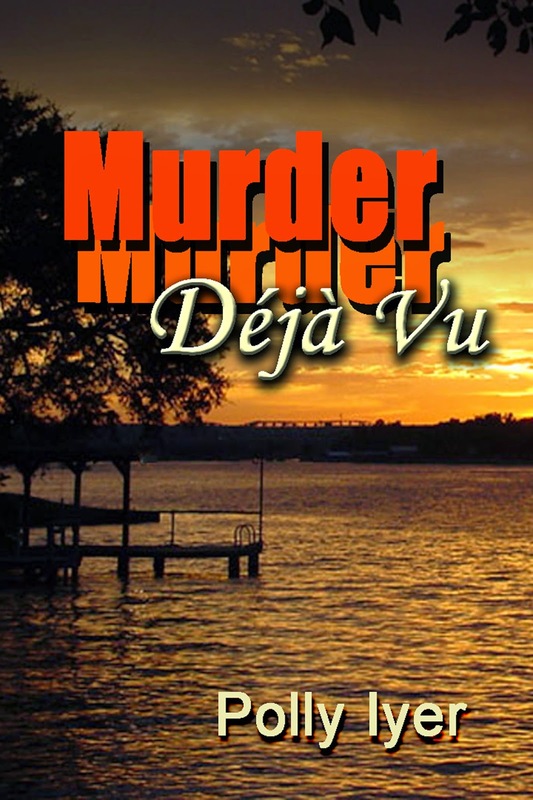 Polly, as you know, I found Murder Deja Vu absolutely fascinating. Your ability to depict the world of a person wrongfully imprisoned and fearful of being returned to prison is compelling. Thanks for taking on difficult subjects and not compromising in depicting them. Thanks, Paula. That was one of my big issue novels, and I think it's an important one. Glad you enjoyed it, and thanks for telling me. I consider a story without a theme shallow, but I am definitely a Thinker with a capital T. There have been a few megahits of late that could have done with some serious thinking about the messages sent before hitting "publish." There are writers (and screenwriters) who don't feel that they are responsible for the messages their work contains, because it is just "entertainment" and they just write what they write and what other people read into is up to them. I wholeheartedly disagree. I agree, Diana. If it's just a battle between the main characters' egos, with no other meaning, I would probably close the book. It depends on the message, of course, and whether or not I agree with it, right? Social messages can be slipped in skillfully (as you demonstrate), or can conk you over the head. The former is preferable to me, no matter if I agree with the message or not. Good topic and you're just the one to tackle it. some issues when I develop a character. We're all sums of our experiences and our curiosities, which makes the reseach interesting and thought-provoking. Exactly, Maryann. I just said that in the comment above. The issues are the characters issues. Besides, my critique partner always warns me when there is author intrusion. That's a good safeguard to have in place. Also, there are subjects that aren't always read by others the way the author sees them, according to some reviews of mine, anyway. I love meat in mysteries, both as a reader and writer. Topics that make one think. You're a master at this, Polly! A message is fine so long as it doesn't eclipse story or character. If the plot unfolds only as a way to deliver a socio-political message, or a character is inserted solely as a device to introduce this or that issue, then I'm not interested. Personally, I try to keep messages out of my work. I often mention I'm a recovering sociologist. That's not intended as a funny or offhand response. It is a reminder to me to keep the sociologist out of the writing. I doubt I could write about certain issues—particularly any kind of prejudice or discrimination—without it being heavy-handed and didactic. There are themes that show up in all of my writing, with or without my consent. The most obvious is that it's not what we believe but how we believe that matters. Meaning, it doesn't matter whether you're Jew, Christian, Muslim, Wiccan, atheist, etc. It's not the rituals you perform or how often you attend service. It's how you live your life. Agreed, VR. I just finished a book by Dennis Lehane, and there were messages all through it. He incorporated them into the story so he made his point, but I didn't find them heavy-handed. Maybe I just agreed with most of them. Story should always come first, but like you said, the themes show up, whether you want them to or not. So few of our social issues have definitive answers. If the message is awareness, I'm good with that unless it interferes with the plot. But if an author prescribes solutions, I'm probably not good with it. Some of the best teaching books, such as John Steinbeck and Herman Wouk, teach by setting a story in the time period and showing the reader more about that time and the atrocities that occurred. My favorite contemporary teaching mysteries--Jacqueline Winspear's WWI series. My novels deals with child abuse, but its focus is on good vs. evil. I wish real life were that black and white. I assume most readers want entertainment. There are messages from the author in terms of underlying values, but I like books that entertain me. Maybe "entertainment" should be defined. I love heart-thumping, page-turning entertainment. Others like laugh-out-loud entertainment, and still others like teaching entertainment. It's wonderful if a writer can incorporate all three, isn't it? Well, Polly, I suppose it would be pretty hard to write without some kind of personal philosophy getting baked in. That said, my expectation for a read (or film) is to put my feeble brain in park (some might argue that it is never in Drive), and relax for the duration. I try to execute my novels with that in mind ... which is why I call them popcorn books ... hey, its just for fun! I leave the weighty stuff to the big brained folk. That's exactly what I was trying to say above. It comes down to different strokes for different folks, both for readers and writers alike. Me? I can't help myself. My characters always have issues. Maybe I get out my own by putting them in my characters' heads. Hmm. 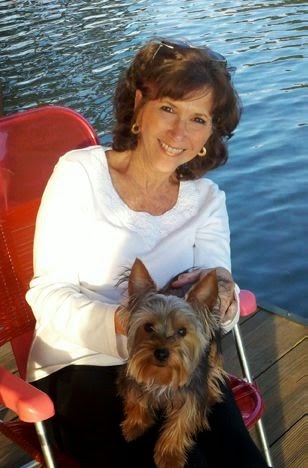 My stories focus on characters, and characters have issues -- personal, moral, social, etc. These issues often create the conflict that crafts a compelling story. They also contribute to character depth -- or lack thereof. No soapboxes here, but issues play a significant role in my books. So far I've dealt with domestic violence, marital problems, racial/ethnic profiling, and mental illness, with more to come. The realities of life presented as an integral part (not an in-your-face theme) of a well-written story make a page-turner for me. Me too, Linda. We just can't help ourselves. I probably like a few more dead bodies than you do, but the characters still have issues. Bad guys are especially juicy. Creating complete characters, with all their warts, is something I love to do. I especially like when I have my characters cross those ethical lines for all the right reasons. Moral dilemmas are my specialty. Such fun. Thought-provoking article, Polly. I love, love, love including tough issues in fiction. It's definitely one of the main reasons I write. My general focus is on how strong women are, and I've gotten tons of emails from male readers who thank me for writing about strong female protagonists that they enjoy and can support. But I also use the news to spark my imagination. Apparently, I need another reason to write other than just pure entertainment :-D It's what I read, as well. Yes, you do write strong women, and you do it so well. Even thrillers have to have some important issues. They can't always be one chase to the next or else it becomes tiresome. You've managed the right amount of both. Thanks for stopping by, DV. I like them, but only if I'm learning something new in the process. And now I have to think about that insight! It's always important to learn something. I agree. Or at least to make one think. I'm happy to read books with a message. They make me think. That's not to say I don't also enjoy books that rollick along with little thought required. There's a place in Maggie World for both styles of books! You're so right, Maggie. Maybe I need to lighten up some and read something silly for a change. I like stories that expose issues and show different sides, but I don't want the author's ideas presented as a one-sided, one-answer solution. If it becomes a lecture or merely a way to express the author's opinion, I'm unlikely to enjoy the story. Agreed, Ellis. As writers, we hope we don't do that.